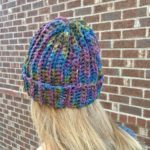 The Urban Beanie Hat crochet pattern creates a slouchy hat perfect for keeping you warm and stylish this winter. 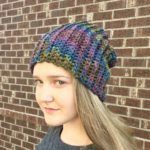 A beanie hat crochet pattern is perfect for beginner crocheters and works up quickly with bulky yarn. 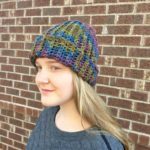 This crochet pattern creates a slouchy or beanie style hat – either wear it with or without a brim. 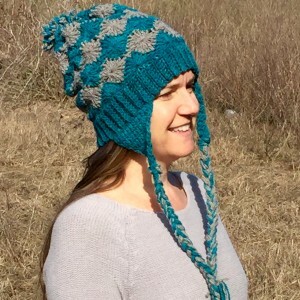 This beanie hat is a perfect pattern for a beginner to practice the basic stitches. More advanced crocheters will enjoy this pattern as well. 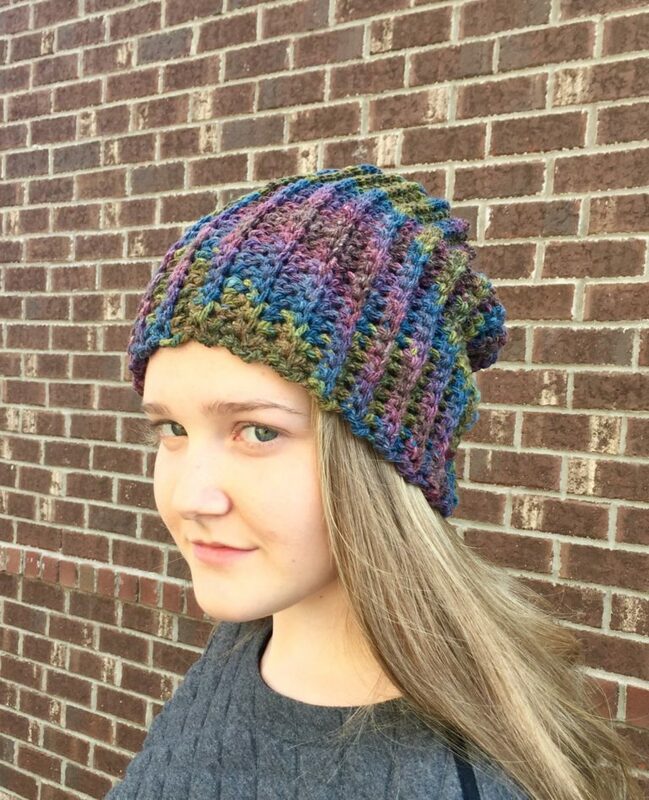 A slouchy hat is perfect for almost everyone on your gift list! 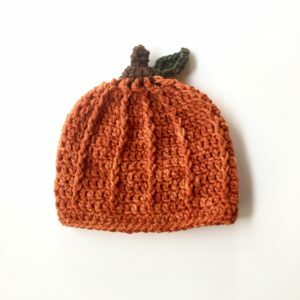 Beginner – uses basic crochet stitches. 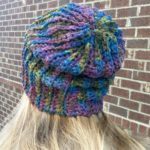 You’ll need a L crochet hooks and your favorite bulky weight yarn. I created it using bulky weight merino wool from Mountain Meadow Wool. Please do not copy, sell, or redistribute this pattern or photos in any way. You are welcome to sell finished items. 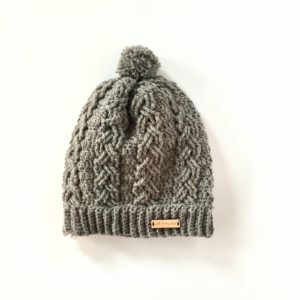 Please provide this link to my shops when selling finished products online.